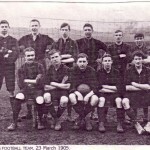 Until recent times, the football club has run two teams in the North Gloucestershire League, and as far back as 1910, Newnham were represented in the same league. Newnham Excelsior was the name in those far-off early century days and the team very often found itself travelling to away fixtures by train. 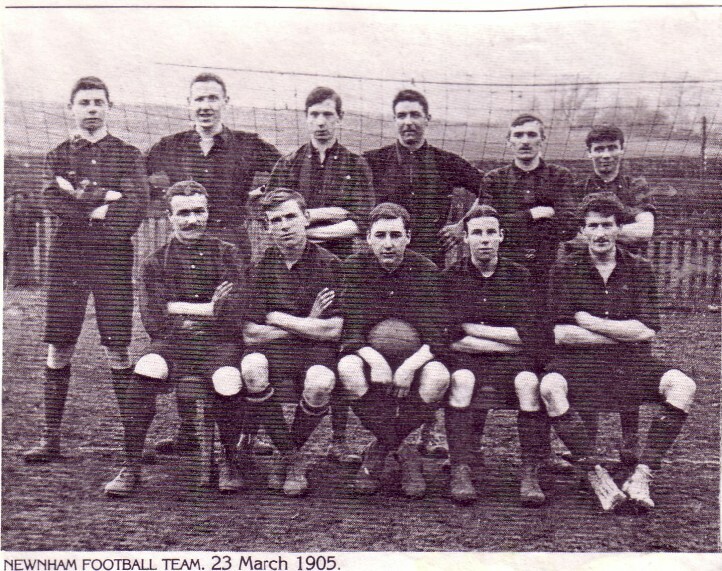 The club won the division 1 Championship in the 1924-25 season and again in 1929-30. There was little success in the pre and post – war years, but in 1964-65 the division 2 championship was gained. Again there were several difficult years until the1980’s when the division 1 Championship was won again in 1981-82 and the following year the Premier division Championship. 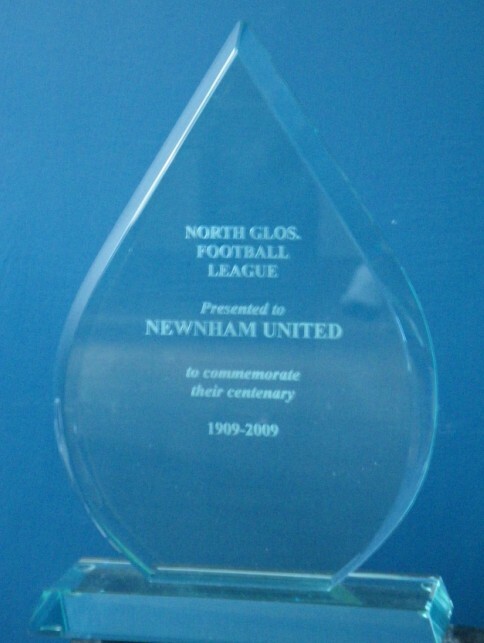 This period was one of the most successful in the club’s history as the Intermediate County Cup was won the same season and the team was beaten finalist in the local “JO Roberts” cup final. 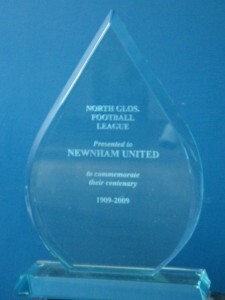 It was not until the late 1980s that the club enjoyed some more success and the 1989-90 season saw the division 2 championship won, followed the next season by the division 1 championship. Following these successes they maintained good positions for several years in the Premier division and in 1989-99, the reserve team, which played in division 3, added to the club’s successes by winning the “F J Pope” cup final by defeating Worral Hill Reserves. Fortunately, in 2005 a number of younger players from the village came forward to re-form the team and re-entered the North Gloucestershire League in division 4 which they won in their first season. Promotion followed in successive seasons and the club now competes in division 1. Since reforming, the team has also won the primary county cup and been a loosing finalist the following season. Out of the 24 registered players in this present season, 18 are resident in Newnham. NEWNHAM United will play in the Premier Division of the North Gloucestershire League after clinching their fourth promotion in five seasons. It’s a remarkable achievement for a club who folded in 2005 due to a lack of interest. They’ve climbed through the ranks after starting up again in the league’s bottom division with a clutch of young talents from the village. Despite their successes on the field, this season has been overshadowed by sadness. Don Marshall, the father of Nick Marshall, the team’s manager, died in December. The club was also hit hard by the death of striker Caerwyn Richards, a player dedicated to the club who has been sorely missed. Club secretary Roger Parrish said: “Caerwyn and his brother Celyn grew up just a couple of doors down from me and they were always kicking a ball around. “It was a terrible loss for the club. I think some of our young lads never really let their feelings be known, but I do think it made them more determined to do well. “What the club has achieved in the past five seasons is incredible. We won the County Cup along the way, but I think getting to the Premier Division is the best achievement. Newnham play an attacking brand of football, with Lee Morton and Jody Taylor a handful for most defences. Taylor joined from Harrow Hill and was just what the team needed – an out-and-out centre-forward who could take the burden of scoring off the shoulders of Lee Morton, a more creative, unselfish type of player. Wayne Jobson, who moved into the village, has been another major addition in midfield, slotting in nicely alongside the likes of James Kenny, Dan Grech, Jamie Reed and Lee Brice. Celyn Richards, Tom Price, Phil Morris and Matt Dallow have been key players at the back. Roger Parrish added: “Nick Marshall has done tremendously well as manager and it was a big relief to me when he agreed to take the job on.